Nothing is more frustrating than coming up with a great idea—only to have someone steal it. This happens more often than you think. Someone sees a company become a financial success by selling a certain product, and the person creates an imitation of that product—a knockoff—for a much lower price. When someone copies your brand or product, it undercuts your profits. This can cause financial problems for your company, which is why you need to take the proper steps to protect your trademark. 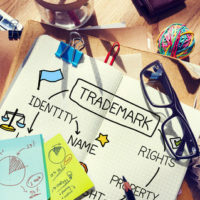 Protect and defend your trademark—whether it’s a company name or product—with these tips. Use your trademark. Make sure to pay the appropriate fees to the United States Patent and Trademark Office. Also, make sure you use your trademark symbol often, especially in prominent places. This mark might be TM, SM or an R in a circle. 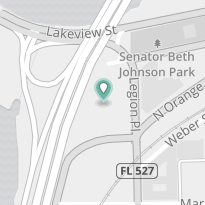 It’s important to use this mark at least 50 percent of the time so the public knows that this is in fact your registered mark and they should not attempt to duplicate it. Be careful how you refer to your product. Many products—such as Kleenex, Xerox and Rollerblades—have become household names as products instead of companies. This may seem innocent enough, but this can cause you to lose ownership of your trademark down the line. Therefore, remind the public that your company and product name are not interchangeable. For example, advertise Kleenex tissues instead of simply saying Kleenex. Monitor use of your trademark. One of the downsides to being successful is that other companies want to copy you. It’s important to keep a close eye on anyone who attempts to infringe on your trademark. Know your competitors and monitor what they are doing. The good news is that you don’t need any fancy spy equipment to do so. You can easily do this by setting up Google Alerts online. You can set it up so you are alerted when there is news about your company. You will want to look for misspellings of your company name or unauthorized use of your trademark or catch phrase, if you have one. Enforce possible infringements. Determine what you will do and how aggressive you will be toward violators. This will depend on how large your company is. At the very least, you can have a lawyer draft a letter to the violator. No matter what you do, be sure to follow up. Don’t let the violator get away with the crime. If you don’t take trademark infringement seriously, the courts won’t either. You’ve worked hard to create your company and build customer loyalty, but as a business owner, your work is never done. Once you create successful products, you need to protect them from competitors. If you believe that your trademark or product design has been stolen, seek help from Godfrey Legal. Godfrey Legal can offer legal advice and help you recover compensation if you believe that another company is profiting from your hard work. With more than three decades of experience, we have the knowledge to protect your valuable business ideas. Contact us at 407-890-0023 today for a consultation.